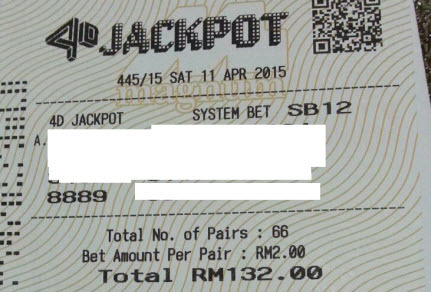 Yes, We won a 3rd prize number 8889 on 11 April 2015. Everyone on the Magnum 4D jackpot pool are happy to share the winning together. Join us in our quest to win the big prize together. Call 92300837 now.